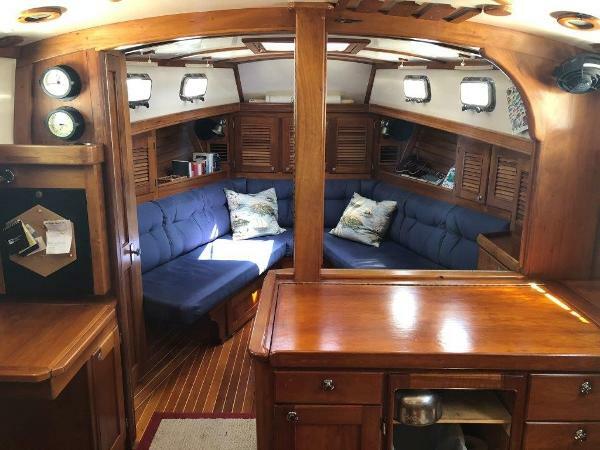 An absolutely gorgeous classic featuring the "B" INTERIOR with All of Gozzard's Options and featuring some marvelous CUSTOM TOUCHES - SUPERBLY MAINTAINED - TURNKEY A MUST SEE - THE BEST GOZZARD I HAVE SEEN!!!!! 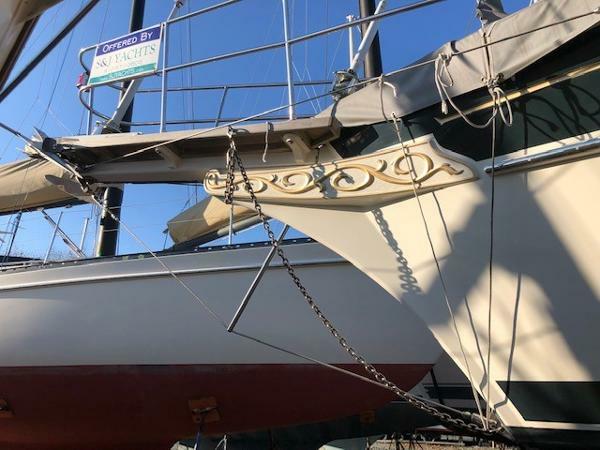 The Gozzard 37 follows the 36 with improved hull/ keel shapes and slightly deeper draft with less wetted surface as well as a larger rig that really improves performance speed and pointing. 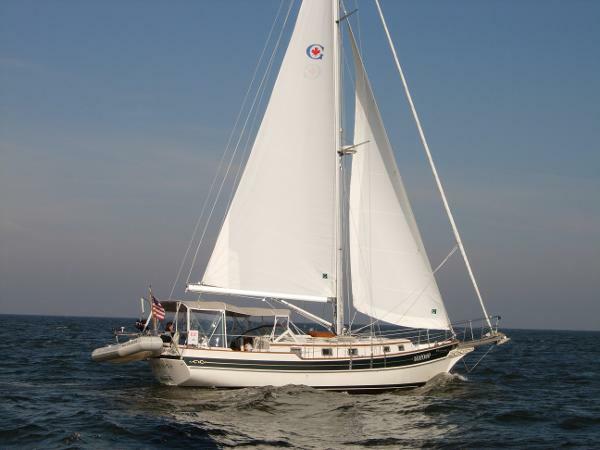 The 37 has a modern, but, traditional looking cutter rig with beautiful lines, a beamy hull providing a very roomy and comfortable interior with great storage, lots of deck space, and a large, well contoured cockpit. 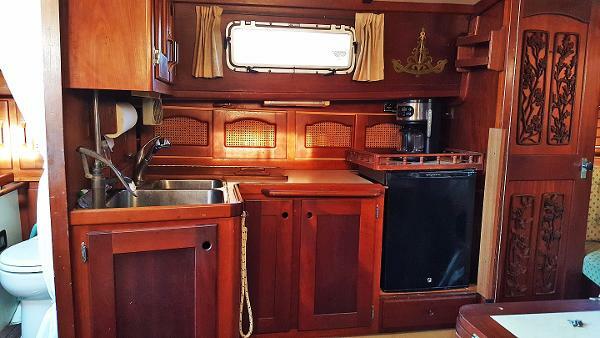 The "B" Plan features a much nicer and larger galley arrangement than the original 37 and features more work space, storage and a larger refrigerator/freezer and a very cozy and romantic table for two which also serves as a great chart table and office space. 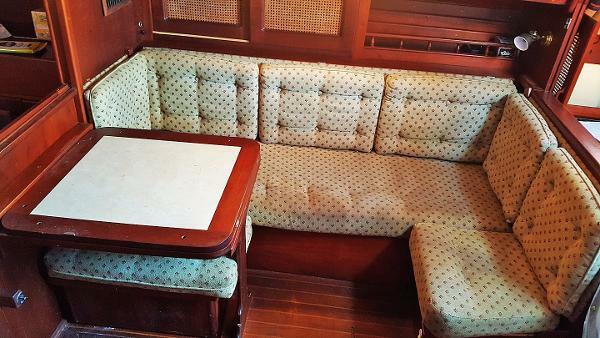 Her very clever interior converts as needed from a big open saloon during the day to a super comfortable private cabin at night. She feels so much larger than her 37'. 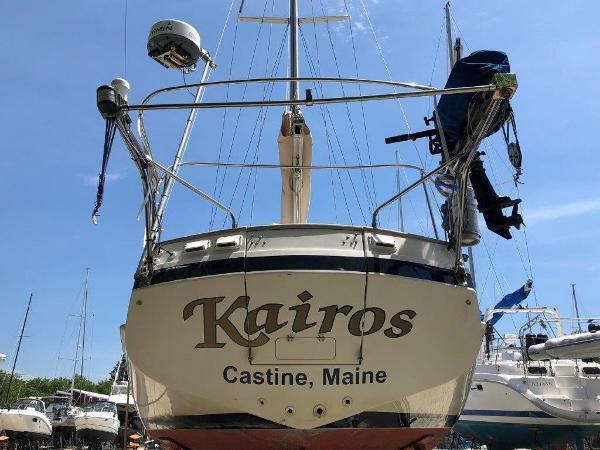 Her high aspect cutter rig does not sacrifice performance and provides the flexibility to sail well, efficiently and safely in any kind of weather. Gozzard's fit and finish is (as everyone knows) gorgeous! 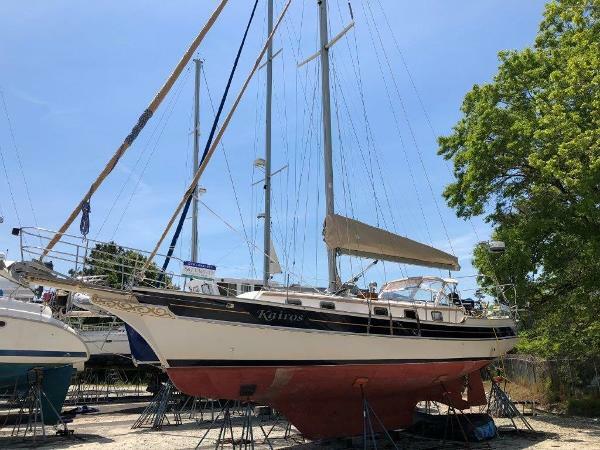 Gozzard 36 Looking for a comfortable cruising boat with a lot of character, plenty of room both inside and out then this Gozzard 36 is a must see. 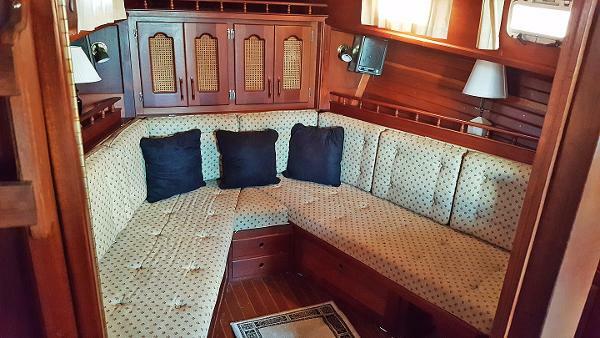 Her spacious cockpit has an easy to access transom that folds down out of the hull. 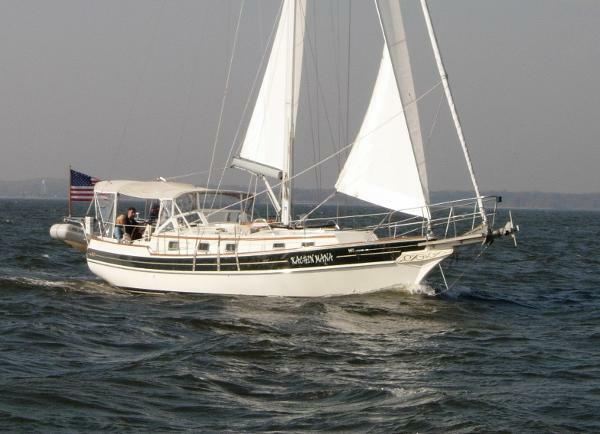 With a centrally located main sheet and jib sheet winch provides easy access from the entire cockpit.